To change your user name appearing in all users’ lists, follow these steps. 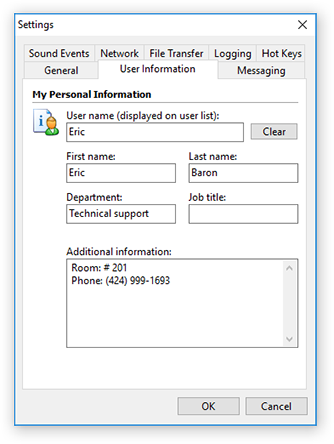 Click the My Info button found at the bottom of the main Softros LAN Messenger window. The Settings dialog box with the User Information tab open will appear on your desktop. Type a new name in the User name text box, and then click OK to save it.